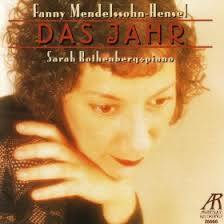 A track from Sarah Rothenberg’s 1996 recording Das Jahr recently surpassed 100,000 views on YouTube. The fall of 2015 saw the release of two long-awaited Da Camera recordings on prestigious European labels featuring works inspired by Houston’s Rothko Chapel. 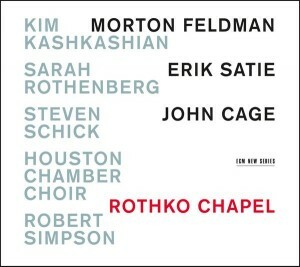 On October 23, ECM released Da Camera’s unique Music for Rothko Chapel program featuring Morton Feldman’s 1971 masterpiece Rothko Chapel and works of Satie and John Cage. Rothko Chapel was inspired by Morton Feldman’s visit to the chapel in 1971 and by his close friendship with Rothko, who died the previous year. The Da Camera recording is the first commercial recording of Feldman’s work made in Houston, connecting the work to its Houston roots and to the Chapel itself. The performers are Kim Kashkashian, viola; Houston Chamber Choir, conducted by Robert Simpson; Lauren Snouffer, soprano, Sonja Bruzauskas mezzo-soprano; Steven Schick, percussion and Sarah Rothenberg, piano and celeste. 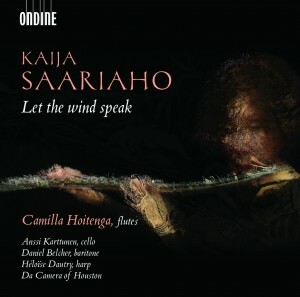 On November 13, Ondine released Kaija Saariaho: Let the wind speak, a disc of works by the Finnish composer, featuring the Da Camera-commissioned Sombre. Da Camera celebrated its 25th anniversary by commissioning Saariaho, one of the world’s foremost composers, to respond to Rothko Chapel. The performers are Daniel Belcher, baritone; Camilla Hoitenga, bass flute; Bridget Kibbey, harp; Paul Ellison, double bass and Matthew Strauss, percussion. On sale at the Da Camera Music Center, 1402 Sul Ross. Order on Amazon. Order on itunes. Acclaimed composer Tobias Picker’s Da Camera-commissioned Piano Quintet: Live Oaks is now available on a recording issued by John Zorn’s Tzadik Label. The CD, Invisible Lilacs, presents four powerful and original pieces of chamber music spanning four decades of creative activity (1976–2011). Piano Quintet: Live Oaks had its world premiere in Houston in 2011, performed by the Brentano String Quartet and pianist Sarah Rothenberg. The New York Times called the Quintet “six deftly characterized movements of surging energy, jazzy vivacity and airy open-chord expanse.” Purchase from Amazon. Purchase from itunes. Shih-Hui Chen’s Da Camera-commissioned Shu Shon Key (Remembrance) for viola and chamber ensemble, is available for download on Amazon and iTunes. “Shu Shon Key was inspired by a Taiwanese folk melody and conveys homesickness as well as a reminiscence of my Taiwanese childhood. Since Hsin-Yun [Huang: the violist for whom the work was written] and I were born in Taiwan and now we both reside in the West, it is most fitting for me to use a Taiwanese folk melody as the basis for this piece. This is also consistent with my compositional focus in recent years on the integration of Western techniques with elements from a Chinese sound world.” — Shih-Hui Chen. Click here to purchase on iTunes. Click here to purchase on Amazon. Click here for the liner notes. Da Camera has issued two distinguished recordings featuring works commissioned by the organization. 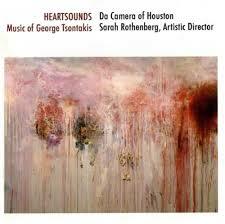 Heartsounds: Music of George Tsontakis, issued on the Koch International Classic label, was made possible in part by grant from Aaron Copland Fund. 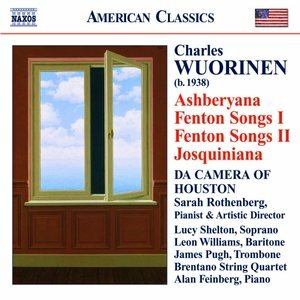 Ashberyana: Music of Charles Wuorinen was released on the Naxos label, with support from Aaron Copland Fund and National Endowment for the Arts. 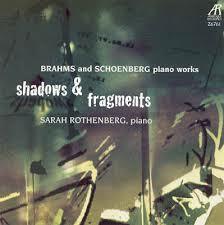 Pianist and Artistic and General Director Sarah Rothenberg has released numerous acclaimed recordings, including Shadows and Fragments: Brahms and Schoenberg, Das Jahr and Olivier Messiaen's Visions de l'Amen (with pianist Marilyn Nonken). Click here to listen to excerpts from Heartsounds. Click here to listen to excerpts from Shadows and Fragments. Click here to listen to excerpts from Das Jahr. Click here to listen to excerpts from Ashberyana. 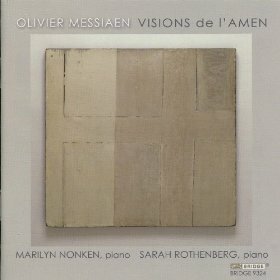 Click here to listen to excerpts from Visions de l'Amen. Cick here to purchase on Amazon.